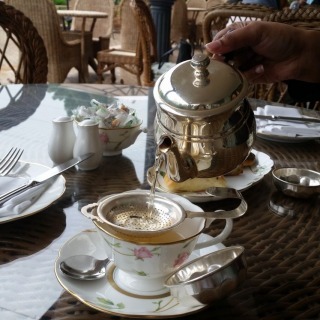 Nestled in the Palace Boutique hotel, this restaurant and cafe is like a green oasis in Adliya. 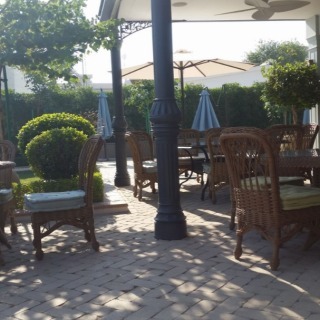 I love the outdoor garden as…Nestled in the Palace Boutique hotel, this restaurant and cafe is like a green oasis in Adliya. I love the outdoor garden as well as the pretty interiors. Mendi chicken and pesto sandwich are good food options. Great outdoor seating for when the weather is good. Food is good as well, can especially recommend their French toast for…Great outdoor seating for when the weather is good. Food is good as well, can especially recommend their French toast for breakfast and chicken mendhi for lunch or dinner. My Verdict : This is my first visit to Orengary and sure won't be the last. 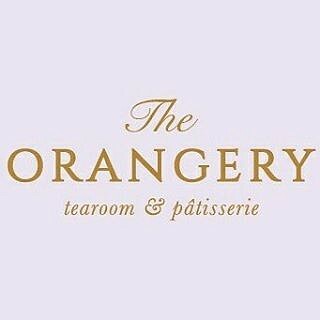 The Orangery is a beautiful café with gorgeous…My Verdict : This is my first visit to Orengary and sure won't be the last. 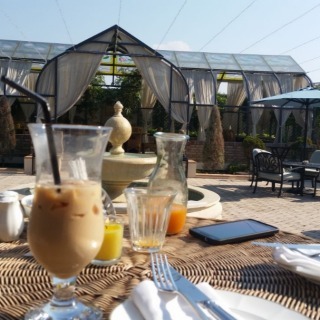 The Orangery is a beautiful café with gorgeous decor and the finishing of the place is very great with all the plants surrounding, the ambience and seating are lovely also the food options are remarkable. I loved the Turkish eggs, hailing from the historical pages of Istanbul's Ottoman influence, a fantastic mix of thick Greek yoghurt, warm spiced butter, and golden yolked poached eggs is perfect for dunking the heady sour-dough toast, but nevertheless this gourmet fusion of Turkish dish awakes all the right senses for a tasty brunch. The croissant egg sandwich was amazingly fresh, the eggs were cooked just the way I like it, even the side potatoes and salad were delicious and well seasoned. 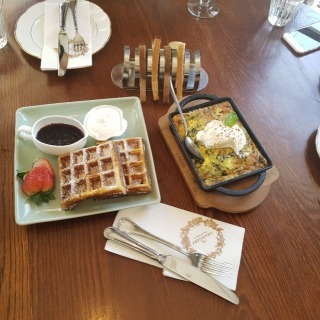 All in all I loved the food and the place, definitely one of the best places in Bahrain for having a nice brunch.